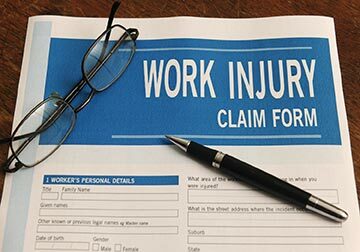 Work accident lawyers for Arlington, Texas, and Tarrant County, Texas, work injuries dedicate themselves to making sure that injured workers receive the compensation they are entitled to after an on-the-job injury or occupational injury. Workers around Arlington, TX and throughout Tarrant County are injured every day as they perform the tasks necessary to fuel large, wealthy corporations. 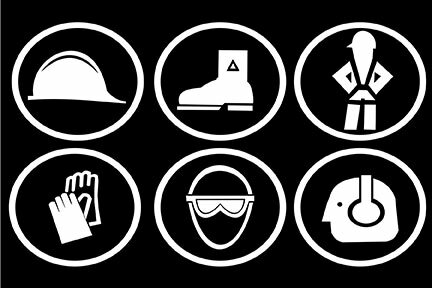 Workers are often injured at Arlington construction sites, industrial manufacturing plants, refineries, or assembly plants. In addition to a variety of other claims, state laws provide for workers’ compensation, commonly known as “workers’ comp,” to assist the victims of workplace injuries and their families in these times of hardship. Unlike normal negligence claims where proving fault is necessary, if you suffer an injury while in the "course and scope of employment" at a workplace in Arlington, Texas, you should get your Arlington workers' compensation payments (indemnity) and your medical bills paid regardless of who caused your work injury or how it was caused. If you or a loved one has been involved in an Arlington, TX workplace injury, please contact one of the qualified Arlington workers’ comp attorneys serving injury victims throughout the Arlington and Tarrant County areas. an Arlington workers’ comp attorney can help you in many ways, and will work to make sure that you pursue compensation under the appropriate statute and through the appropriate methods. For example, your Arlington workers’ comp attorney will make sure that federal government employees injured on the job seek recovery under federal law. As under the state workers’ compensation scheme, federal law provides injured federal government workers, such as postal service workers, compensation for injuries occurring on the job or as a result of their employment with the federal government. This federal workers’ compensation program is administered by the Department of Labor. The Department of Labor also administers the Longshore and Harbor Workers’ Compensation Act (LHWCA), which provides compensation to longshoremen and other such workers if they are injured on the job. If you are a Tarrant County resident employed by the federal government and you have been injured on the job, you should contact an Arlington work accident lawyer to discuss your rights today. What Can an Arlington Workers’ Comp Lawyer Do if Your Employer Doesn’t Have Workers’ Compensation Insurance? Texas law generally does not require that an employer provide workers’ compensation coverage. Employers who opt out of the state workers’ compensation system are referred to as “non-subscribers.” These employers can be sued directly under what is called a “non- subscriber claim.” A non-subscriber claim is a very strong injury claim because the employer gives up their right to assert any fault on the part of the injured employee (plaintiff) and can also be sued for the work-related injury. Employees in the Arlington area who work for non-subscriber employers may sue for personal injury, in court or through arbitration. These claims are made directly against the employer for their negligence; however, if you work for a non-subscriber, you have wider possibilities in terms of your right to proper medical care, compensation for lost wages, and for any disabilities you have suffered, in addition to your right to initiate a direct personal injury claim for employer negligence. Contact an Arlington workers’ comp attorney or other Tarrant County workers’ comp attorney today for advice regarding an injury sustained during employment with a non-subscriber employer. 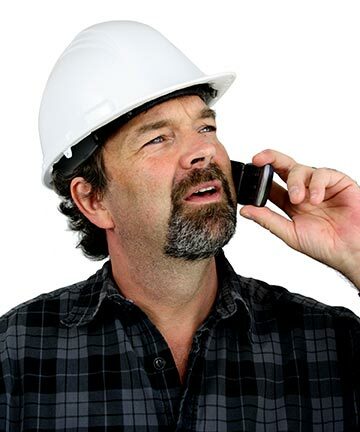 Why Should You Contact an Arlington Workers’ Compensation Attorney? If you are suffering from a work-related injury, you should not hesitate to contact a qualified Arlington work accident attorney who can help you process your claim. People are injured on the job every day, many times causing them to suffer pain as well as lost wages and physical disability. Arlington workers’ comp attorneys are admitted to practice before state and federal courts in Texas, but, more importantly, they are experienced with handling workers’ compensation claims like yours. An experienced Arlington or Tarrant County, Texas workers’ compensation attorney can expedite the process and help you get your money faster and without confusion or hassle. Texas workers’ compensation law provides injured workers in the Arlington area with certain types of income and medical benefits. Under state law, your employer’s insurance company is required to pay you these medical benefits for all necessary treatment as well as benefits to compensate you for your lost wages. However, insurance companies frequently seek to deny deserving, hardworking people their workers’ compensation benefits. This is how the insurance companies turn a profit: they collect insurance premiums while refusing to pay out benefits whenever possible. An experienced Arlington, TX workers’ comp attorney has the skills and know-how to fight the insurance companies to get you the money you deserve. Contact one of the Arlington workers’ comp attorneys listed on this page for help in obtaining a settlement. Because you only have one year to file your claims, it is in your best interest to contact an Arlington workers’ comp attorney immediately to help you begin the process! Arlington Workers Compensation Attorneys listed on this page.